Giljagaur, or Gully Gawk, is named after one of the 13 Icelandic Yule Lads who bear little resemblance to Santa Claus. The Yule Lads are the sons of Grýla and Leppalúði, two of the most hideous ogres known to man, and their original role was to strike fear in the hearts of children. Three types of yeast and a perfect blend of Slovenian and American hops give this Barley wine an especially festive character. 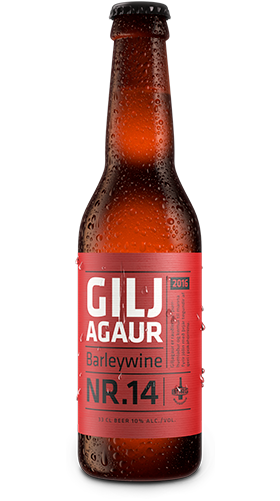 Giljagaur is dry-hopped and has sweet but mild notes of hard candy and marmalade. Ingredients: Water, malted barley, hops and yeast.